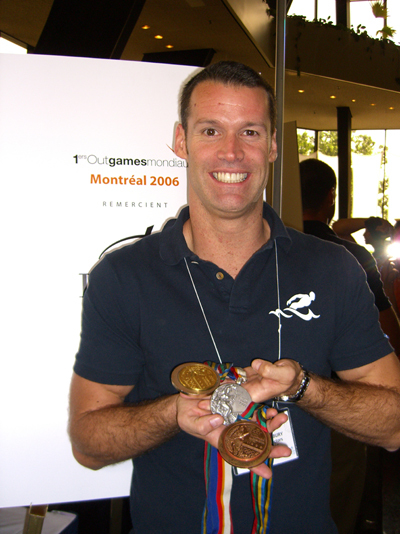 Olympic swimming champion and Co-President of the 1st World Outgames Montreal 2006 Organizing Committee, Mark Tewksbury, showing us his pearly whites, Olympic gold, silver and bronze! 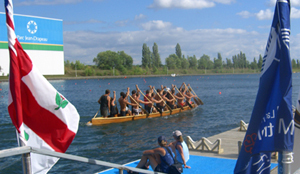 (Right) Some lovely paddlers at the Olympic Basin in Parc Jean-Drapeau where the dragon boat and crew teams will compete. 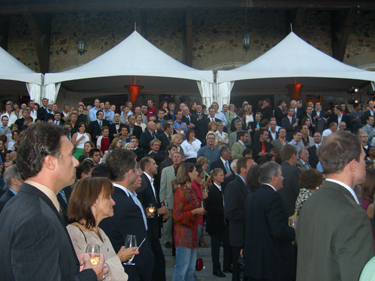 A crowd shot of some of the 800+ guests and dignitaries at the Nuit d'Or fundraiser in Montreal on September 1, 2005. 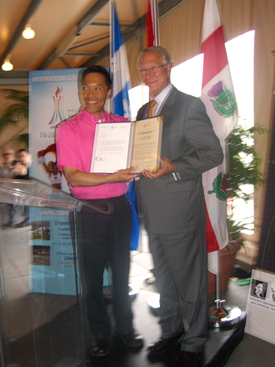 The event raised enough money to send 250 fully-funded athletes to the Outgames from under-represented and need-based communities around the world. Some Equipe Montreal swimmers before they got into the pool to demonstrate their sport on Ste. Catherine Street! 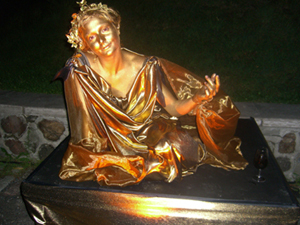 One of the many "living" gold statues that dotted the chateau on Mount Royal at the Nuit d'Or. Lunch outside the Olympic Stadium, site of the opening and closing ceremonies. 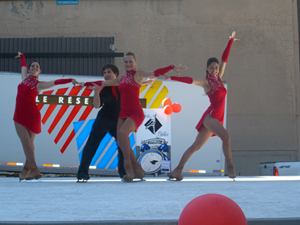 Press, delegates, and guests from nearly 50 countries attended the preview event held in Sept 2005.